THE 160-year-old Pilling Mill has been sold to a Bradford businessman who is to convert it into a house. Some 65ft high, the building commands a fine view of Morecambe Bay and the Fylde countryside and is one of the village's most historic landmarks. It has been in the Cookson family of Pilling, for generations and has been sold privately by Mr C. Cookson, of nearby Windmill Farm, to 57-year-old Mr R. Baines, of Lister-lane, Bradford, a partner in a cycle and toy business. 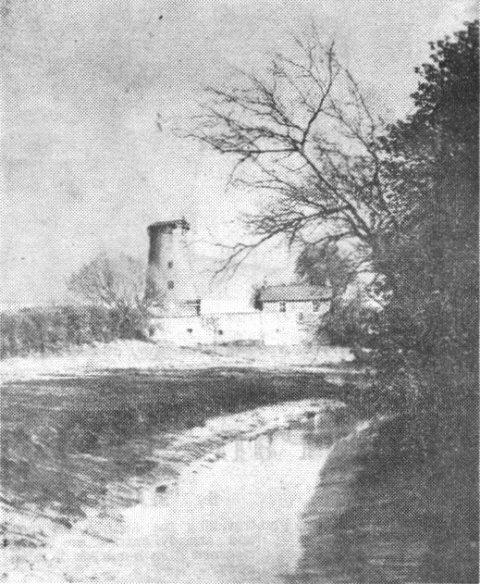 A spur-of-the-moment decision led to Mr Barnes buying the mill. Interviewed on the telephone by an "Evening Gazette" reporter, Mr Baines said: "Last Whitsun- tide, I was motoring past the mill with my wife Celia. I just happened to ask her would she like to live in the mill. She said 'Yes,' I swung the car round and that was when negotiations started." Mr Baines said that renovating the mill Would present a challenge to him. "I hope to restore it to some of its former glories," he said. He added that converting the building would be a long job, taking about 18 months. "After that I hope to use it as a weekend and holiday home and later I will probably retire to Pilling." Mr Baines is also hoping to Incorporate and blend some of the mill's interior features his modernisation. A plaque will also be prepared tracing the mill's history. "The whole project is going to require a lot of hard work and ingenuity," commented Mr Baines. For about 80 years the mill was powered by the wind before being modernised to steam. The General Strike of 1926 finally forced the mill's closure. Mr Cookson said: "I am sorry to let the mill go. Mr Baines has said he will try to keep the exterior of the building as near to the original as possible." Some of the rafters in outhouses at Windmill Farm are made from the sails from the mill Part of the farm itself is a portion of an old watermill which used to be sited there.